Mr Tuk Tuk is one of the restaurants that you can go for if you are looking for a nice cosy Thai Delights. 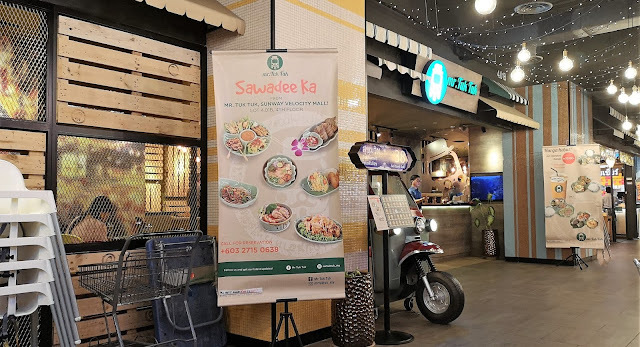 We visited one of the outlets where we visited the one in Sunway Velocity. The restaurant is always packed and they have wide choices of the Thai Street Delights. We ordered their Tomyam Glass Noodles where the soup packed with flavours but the ingridients is pretty limited. 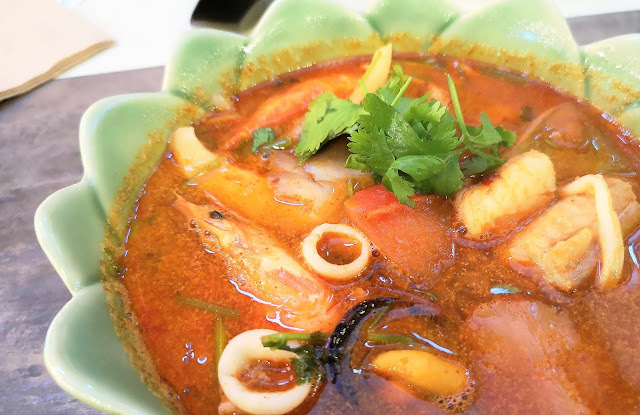 We are served together with prawns, tiny squids, mushrooms in the bowl of bursting kick of spiciness of tomyam soup. 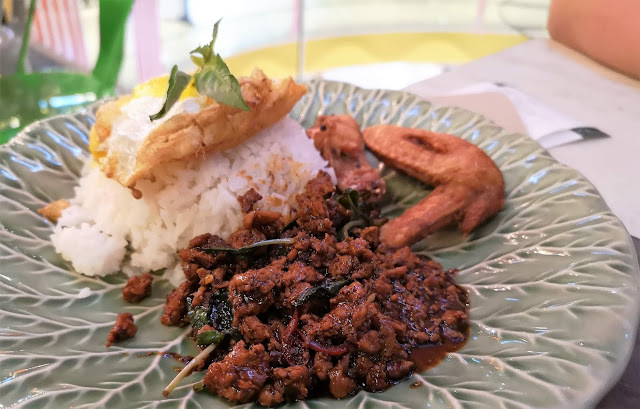 As for their Thai Basil Rice, they are topped with the egg and also sides with the basil chicken with it. Sides with it is the fried chicken wings. Overall, the taste is good but portion is kinda small.